Joint Youth Ministry needs YOU! The Joint Youth Ministry Walk-A-Thon is less than a week away! These are things YOU NEED TO KNOW! Teens! The time is here! Without your fundraising, our youth program would not be able to put on the awesome events we do! 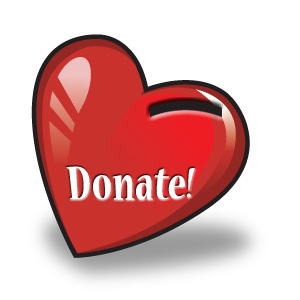 Your money helps us to give scholarships to families in need, allow us to offer all or our trips & events at a discount, and provide supplies and food for local shelters. NO MATTER HOW MANY PLEDGES YOU HAVE: Teenagers we expect you to come and be involved! That means whether you asked 0, 1, 10, or 1,000 people: We need our youth group family there! Option 2: Send an e-mail to Lisa at lisa3cyouth@gmail.comand tell her 5 things you love about the youth group! Option 4: Go to church on Sunday, October 13th and set up a table or walk around during fellowship hour and ask your church members! Even if you don't know them, they want to support you! Option 5: Walk around your neighborhood (just like in the good old days) and ask your neighbors! Not convinced? Some more incentives: Prizes! Hate reading? Watch this video! PARENTS! 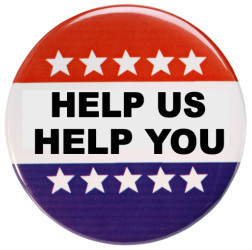 We still need your help! We still need a couple of volunteers! Every hour you volunteer can earn your child $10 of scholarship money! And please encourage your teenagers to get pledges! Know that if they don't though, we still expect/want them to join us on Sunday! Wednesdsay 10/9 @ 6:30 - 8:30pm Girls & Guys night! All ages join us for an awesome evening of some just-girl and just-guy programming! We have an awesome group of volunteers who have planned something great, so join us! you can bring your dogs the last hour! Bring your pledges and have a great time! We will have food, a jump house, water balloon incentive and you can bring your dogs during the last hour! Bible Study! Join us as we learn more about Paul's teachings through his awesome letter writing. Bring $3 for dinner. HALLOWEEN BASH! More details to come soon. Save the date & invite some friends! If you made it this far here is a treat for you: Congrats!